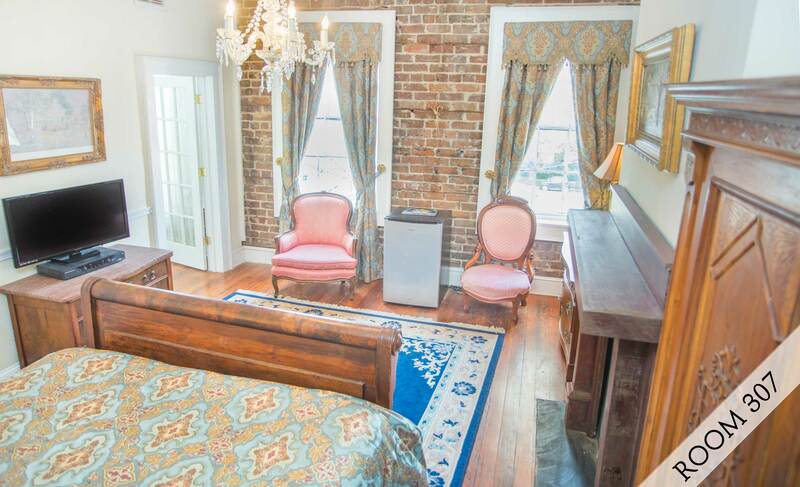 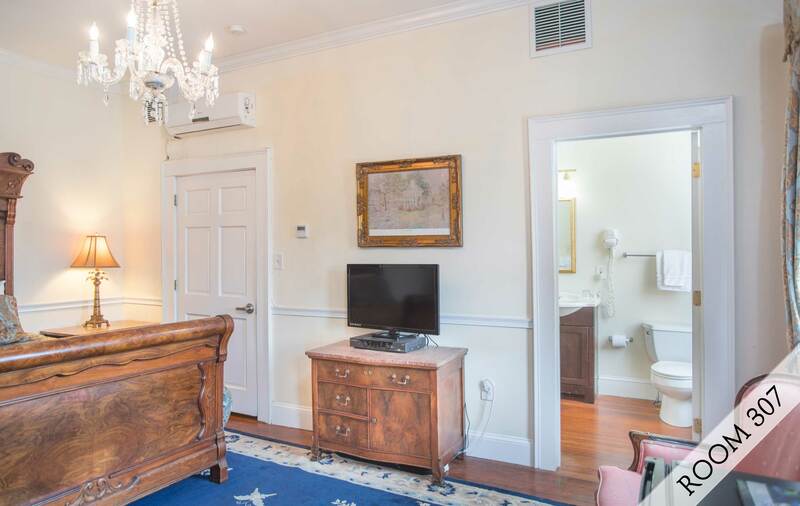 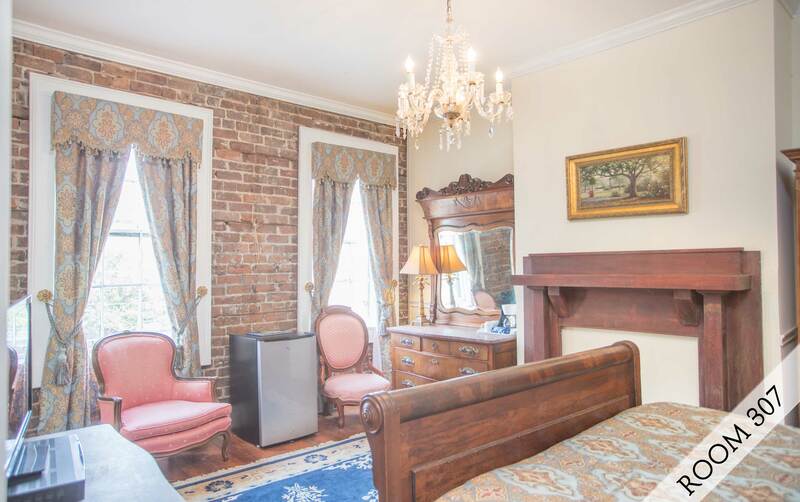 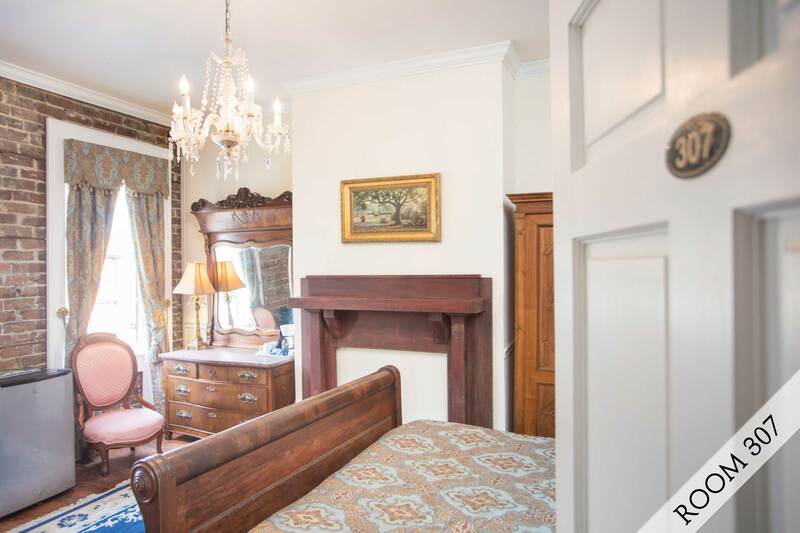 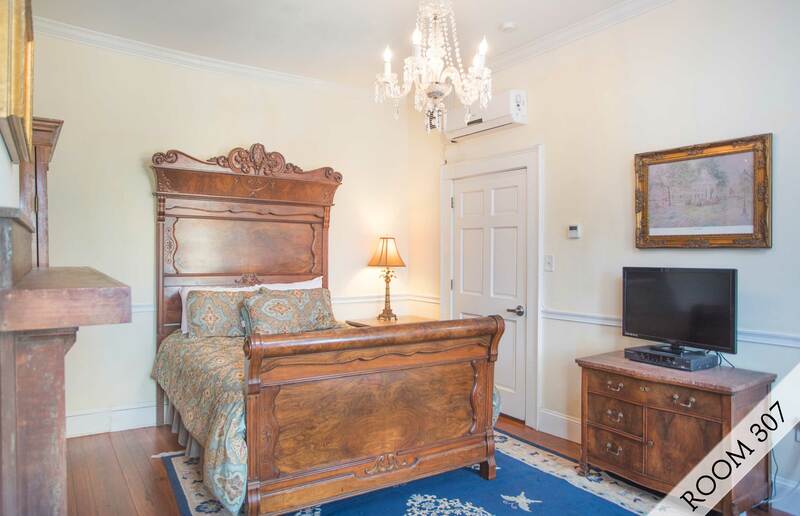 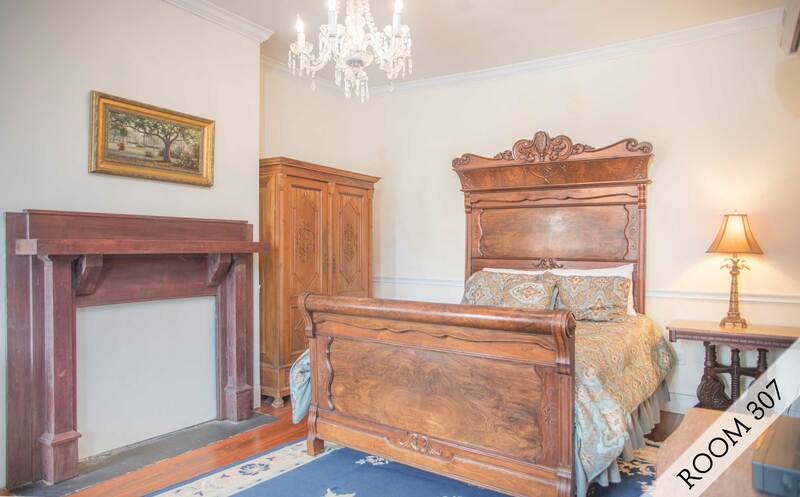 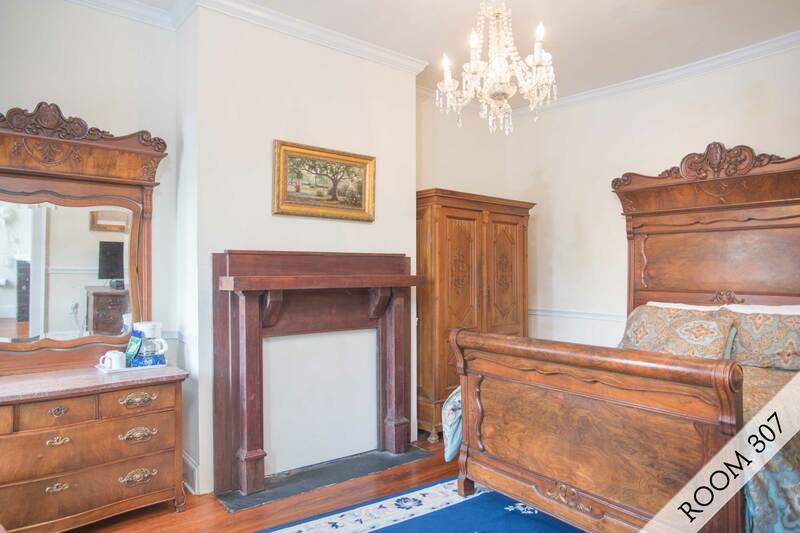 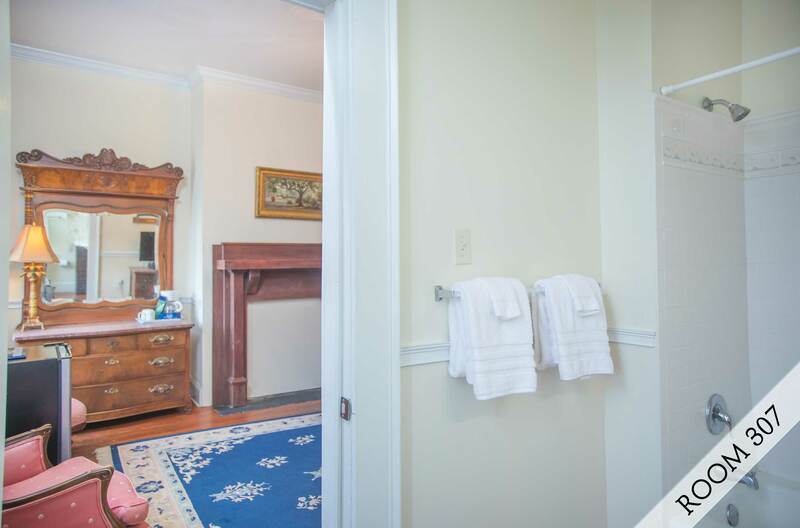 This Queen room located in a guest house over a century old, is up 2 flights of stairs. 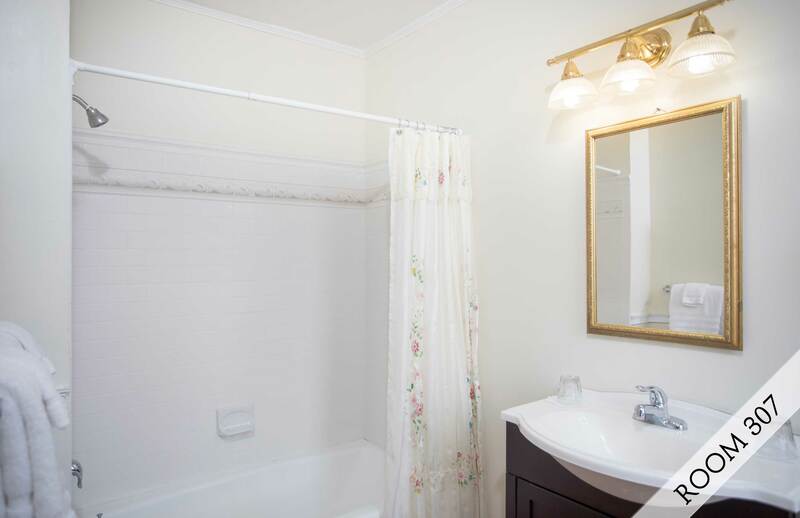 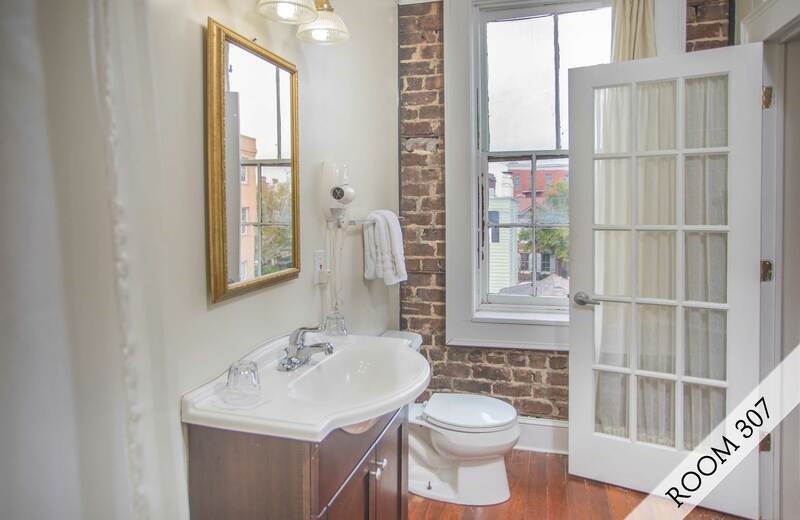 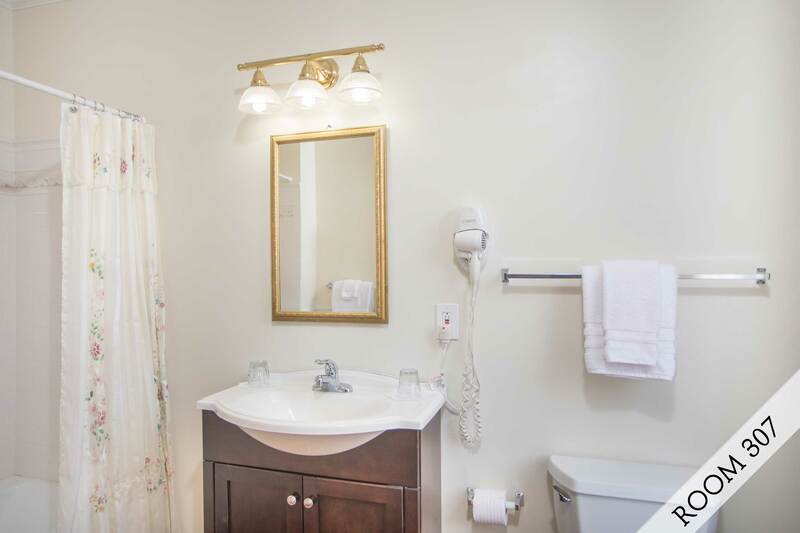 The private bath has a shower / tub combo. 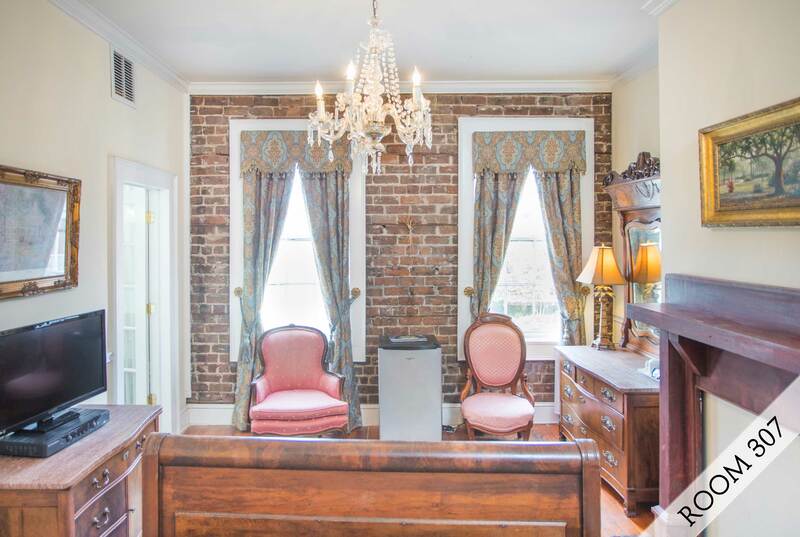 A common area parlor is available for your enjoyment.